Right-wing news outlet Breitbart has apologized after it published a photograph of German footballer Lukas Podolski, claiming he was an illegal migrant traveling by jet-ski from Morocco to Spain. The article, published on Friday and headlined ‘Spanish police crack gang moving migrants on jet-skis’, aimed to raise awareness of alleged smuggling gangs charging migrants €5,000 to be transited by jet-ski from Morocco to Spain via the Strait of Gibraltar. 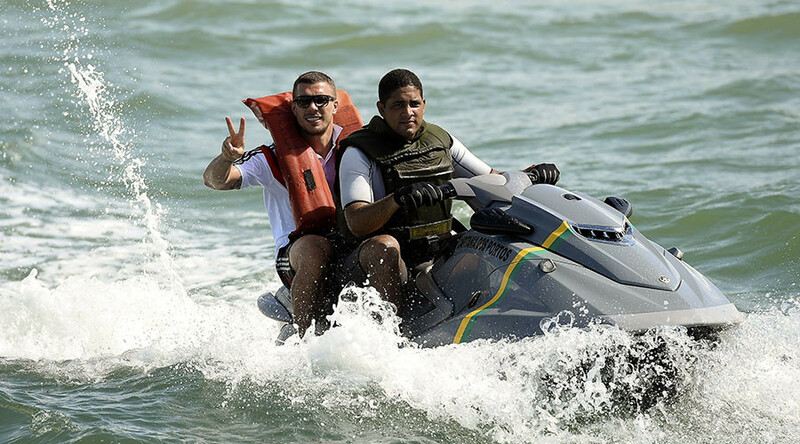 However, the original picture accompanying the piece showed Podolski, who won the 2014 World Cup with Germany, riding on the back of a jet-ski wearing shades and a life jacket, and giving a thumbs-up to the camera. Breitbart later updated the story picture, but not before more football-savvy Twitter users made the original gaffe a viral hit. The new version of the article included an editor’s note which explained the original usage of Podolski’s image and an apology was issued to the player. “A previous version of this story included an image of Lukas Podolski on a jet ski,” the note reads. “This image appeared as an illustration of a person on a jet ski. Breitbart London wishes to apologise to Mr. Podolski. "There is no evidence Mr. Podolski is either a migrant gang member, nor being human trafficked." Polish-born Podolski, who currently plays club football for Japanese outfit Vissel Kobe, retired from international football on August 15, having made 129 appearances and scoring 48 goals for ‘Die Mannschaft’.